With that tweet, DC Entertainment CCO Geoff Johns announced his latest rocking of the DC Universe. 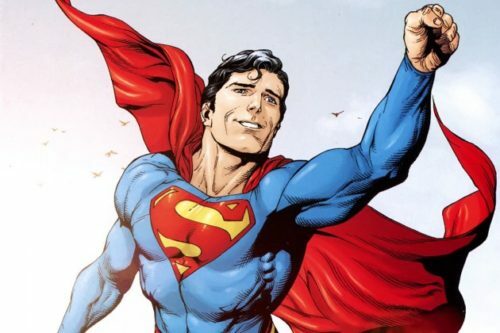 According to reports, this will bring things full circle from last summer’s Rebirth Special, in which Johns brought back hope and enthusiasm to DC Comics. With it, though, he also brought the implication that characters from Alan Moore and Dave Gibbons’ classic Watchmen had been meddling in the DC Universe, with Dr. Manhattan possibly responsible for the New 52. 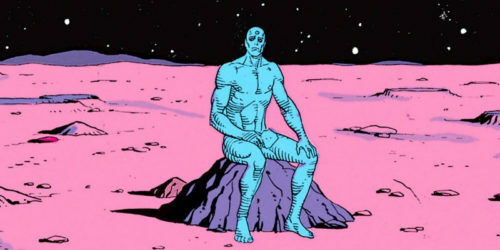 The shocking revelation, whether or not it was Dr. Manhattan responsible? Characters now knew that ten years had been removed from their lives. This week will see the last chapter in a Batman/Flash crossover called “The Button,” that also spun out of Rebirth. For at the end of that Special last summer, the Comedian’s blood-spattered smiley face button appeared in the Batcave, wedged into a cave wall. While it seemed like the trail would lead to Dr. Manhattan, it really led the Dark Knight and the Scarlet Speedster to Flashpoint, the alternate reality in which Bruce Wayne’s father Thomas became Batman after his young son was shot in an alleyway. The creation of that reality and its subsequent undoing had resulted in the New 52 Universe, the line-wide reboot in which all of DC’s heroes had been operating for only five years instead of the assumed… fifteen. 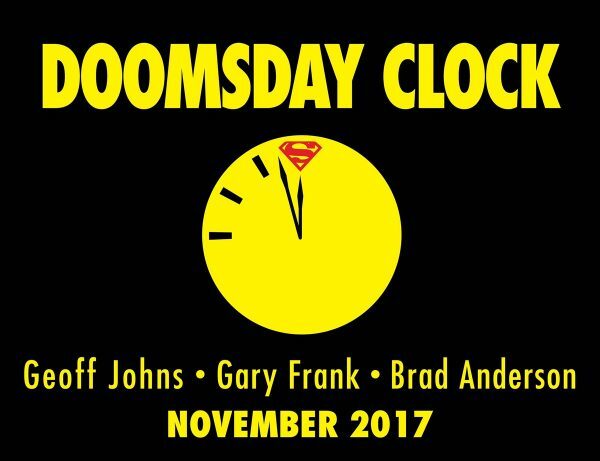 In November, these two crucial pieces collide, in what Geoff Johns promises is a complete stand-alone story, with no tie-in crossover issues, just four issues on its own. 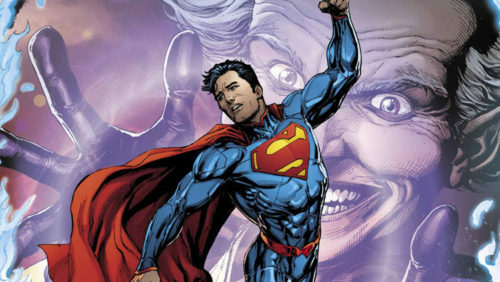 Teamed with Gary Frank, a personal favorite artist who imbues Superman with the spirit of Christopher Reeve, Johns will finally unveil the clash of the Watchmen universe with the regular DC Universe. Frank is adamant that this is NOT Watchmen 2, which I’m sure is of great comfort to Alan Moore. So the question is — will the new “shiny hopefulness” of the DC Universe survive the grim and gritty Watchmen? Is this Johns’ final statement on which should prevail? As a creator, he himself has gone back and forth. Sure, he gave us Rebirth, but he was also responsible for Flashpoint and the New 52. But artists’ attitudes change as they grow older, so the brash Johns who made a splash raising the stakes on The Flash seventeen years ago may now want to offer a clearer vision of hope.